Some of the most interesting poimts of interest can only be found by leaving the quant towns and head off into the beautiful countryside. Ghost towns, cemeteries and even the first oil well in Florida are just a few of the historic places nestled in the woods of Washington County. 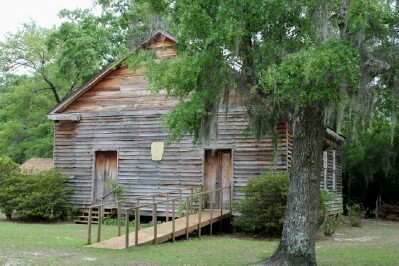 Methodist Church is one of Florida's oldest standing church buildings. time and the current sanctuary was built from milled lumber in 1857. The church was a centerpiece for life in the community at the time of the Civil War. A number of its members served in the Vernon Home Guard and fought on September 28, 1864 at the Battle of Vernon. where they died and were buried far from home. They are memorialized, however, by markers in the Moss Hill Cemetery. The cemetery contains the graves of many men who served in the Civil War. The church grounds and cemetery are open to the public daily and a marker on the grounds provides a brief history of the historic structure. Moss Hill Methodist Church is located on Highway 279 between Vernon and Greenhead in Washington County. 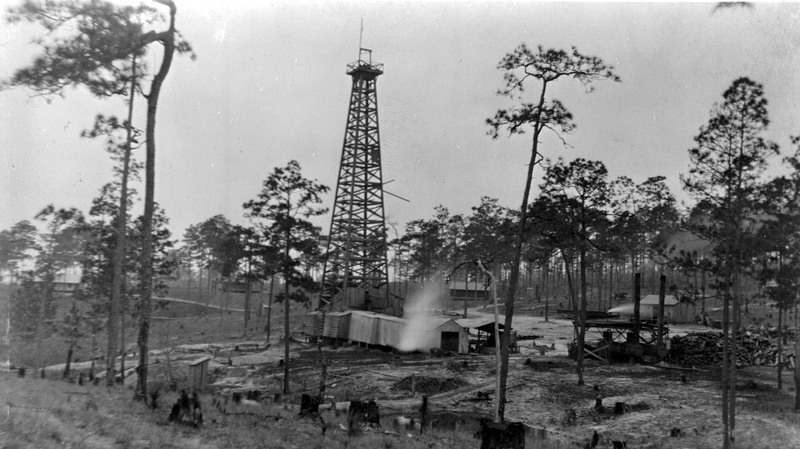 State Park just three miles southeast of Chipley, the site preserves the little that remains of the drilling attempt and includes an interpretive display that allows visitors to read about the unique effort. In 1919, following years of rumors of oil buried deep beneath the hills of the area, independent oil seekers drilled several wells in eastern Washington and western Jackson Counties. The efforts received heavy local investment and became something of a "treasure hunt,"
wooden derrick and pushed down to a depth of 3,900 feet, a remarkable depth for the time and location. natural gas, but no gusher was ever found. In the end, the wildcat effort came to an end and the well was capped. Documentation of the efforts indicates that the drillers were not able to find oil in what they termed "commercial quantities." something. At the time, however, it was considered to costly to continue the project. Florida near the community of Jay. formed the core for today's much larger Falling Waters State Park.